One of the aspects of running a business that most of us like to ignore, are the financials! Simply put, they are confusing. Fortunately for us Amazon FBA sellers, there are some amazing tools out there that can help us keep our “books” in order. That brings us to the question of, what do I really need in my Amazon business? Can I use just one or the other? Do I need to have Go Daddy, Inventory Lab AND Tax Jar? Seriously, I get this question asked in email at least once a week. In this post, I will share with you the benefits of each of these three softwares and why they are critical to your Amazon FBA business accounting. 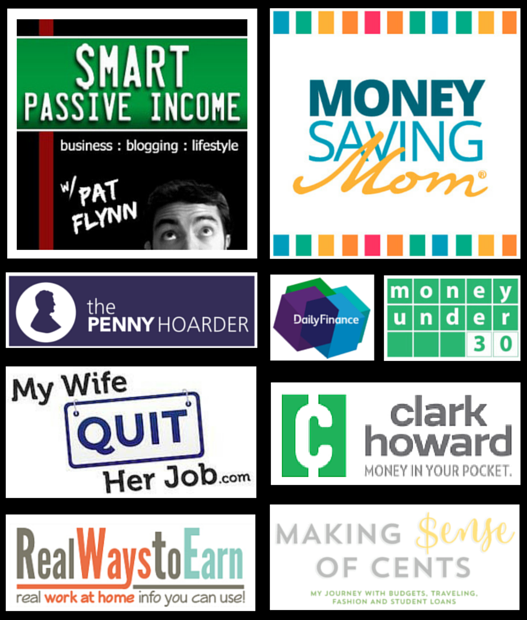 Each one of these programs has a very different purpose when it comes to your finances. They don't overlap and I can't live without any of them. Get ready for our reviews of each them below. 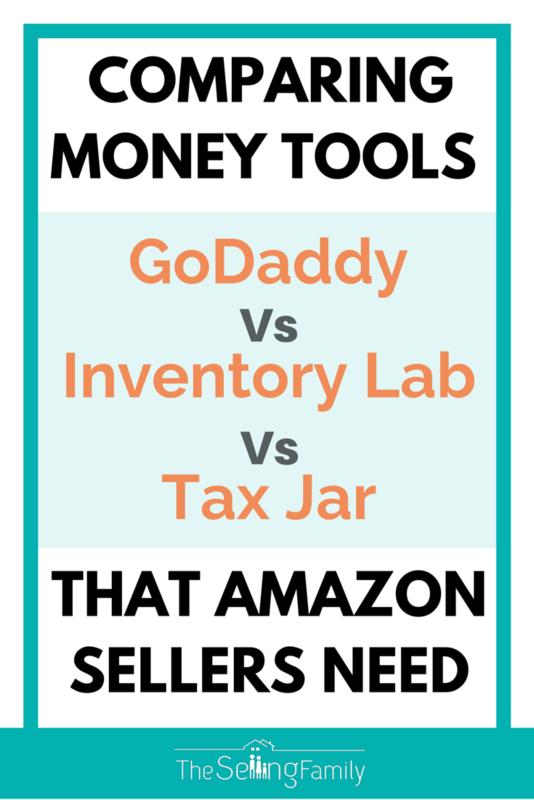 Go Daddy is a bookkeeping software that integrates with Amazon. 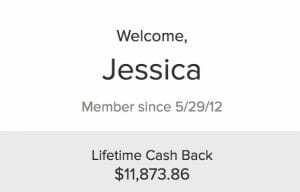 With this program, you can easily see all of your yearly income/expenses broken down in one place. We have many facets of our business now, and they are all stored within the Go Daddy System. It works with all of our business, and works for just an Amazon business too. The accounting method that is used inside of Go Daddy is what is known or referred to as “cash based accounting”. This means that the money that comes in for the year (-) the money that goes out for the year (=) your net profit. No keeping track of the individual inventory items purchased / sold throughout the year. You buy it today, you take the expense, no matter when that item actually sells. This is a major factor in our Amazon business since we may buy 100 of one item, and it could sell for weeks, months or even across a few years. We don't want to be keeping track of each of those and tallying exactly when it sells and for what price. We just take the inventory purchase as an expense at the time it is made. Go Daddy is easy to integrate with Amazon and it will pull all of your sales data and expenses that come with your seller account. It also integrates with many banks and credit cards. Meaning you can automatically pull all of your business expenses. Then you just categorize them and you are good to go. You can also add in mileage and receipts manually! Once the end of the year comes, it is super simple to run your schedule C and either file your own taxes through a service like Turbo Tax (which we did for years) or give it to your accountant. The bottom line is that Go Daddy gives us our profitability as a business OVERALL. Considering all expenses and income. Not just what has sold / when. You can check out all of the features / benefits of Go Daddy by clicking here. It is no secret that The Selling Family loves using Inventory Lab! The reason is we use it in many aspects of our business. The focus of this section is going to be on the Accounting / Listing portion, but if you would like to read about the Scanning App, you can see our review of that here. When it comes to accounting, the reason that we recommend Inventory Lab is because you can see your profitability per item sold. Meaning that as your products sell, you can see exactly what you made on each one. You can also get a breakdown of your profitability yearly, monthly and weekly. It is very important to know that the items you are selling are actually making you money! You wouldn't believe how often when we really dig deep into someone's numbers, they are selling items at little to no profit. This won't happen with Inventory Lab on your side, or if it does, you can see it and nip it. You can keep track of where you purchase each item, how much you paid for it and the quantity. You can list more of an item later and Inventory Lab will know that those ones are a different cost (if they were) and keep track of that without having to create a new MSKU. To get a better picture of the overall profitability of your business, you can add in other expenses manually. Like your mileage, supplies costs and more. Keep in mind though, the accounting type that Inventory Lab is referred to as “accrual based” accounting. This is the opposite of cash based that Go Daddy uses. That is the main reason that we don't use Inventory Lab only when it comes to accounting (well and the other businesses need to be tracked as well). So, we use Inventory Lab to see our item profitability and monthly profitability based on what has SOLD. We use Go Daddy to see our overall business profitability based on what money has been SPENT and what money has been RECEIVED. Make sense why we need both? You can see all of the features and benefits by clicking here. Sales tax is one of those things that everyone hates and no one likes to talk about…Me included. To be honest, I just don't get it. There are so many rules and laws that keep changing. So for me, I just like to hand it over to my CPA and say “handle this”. But for those of you who are more DIY with sales tax, you could work hand in hand with Tax Jar to take care of your sales tax. You can see all of the features of Tax Jar by clicking here. Lastly, there is an awesome beginner guide to sales tax that will let you know the in's/out's of what you need to know about collecting sales tax.. There you have it friends! When it is all said and done, you need all 3 services 🙂 They each play a vital role in our Amazon FBA business and will save you lots of time. These ones don't save you money like a lot of our other recommendations…But, time is money right? To get all 3 services, you will be looking at about $70/month in fees (give or take depending if you get free months and sign up for a year at a time). We hope that helps you understand the benefits of each of these services and how they are different. I’m confused. My CPA as well as the accounting FB group I’m on is very clear – no matter if I do cash method or accrual the inventory is expensed only when it sells, not when it is bought. Excellent Article Guys.. I met Inventory Lab in Salt lake City, cool platform. Hello. Yes, in my opinion they are safe. They have to go through a process to be approved by Amazon to be able to integrate with their MWS service. This is the way that they are able to pull your information. they have to have a way to connect. Thanks for such useful info! I already use – and love – Inventory Lab. Now signed up for 30 day trials of Taxjar & Go Daddy Bookkeeping. Question: You said you use cash basis for accounting (so do I) but how do you determine cost of goods sold without knowing inventory levels? Schedule C has Cost of Goods sold schedule that uses begininng inventory + purchases-ending inventory = cost of goods sold for the year. But I think that for a businesses that have inventory, the IRS generally requires businesses to use accrual-basis accounting, so ask your CPA. QB is still the most used and so couldn’t convince my CPA to use something else. I think most of us fall in the ‘small business owner’ category. Disclaimer: I’m not a CPA, just a Googler (is that a word?). The above is a quote from an IRS publication. So it is really up to you when to get started. You can bring the transactions for whatever timeframe you want to. The earlier you start, the more automated it becomes. But right now is such a busy time, so you may not want to deal with it at all. Hi Terry! What you are referring to is with accrual based. So you could get that information you need from Inventory Lab. They have the reports for inventory on hand. As well as all sales for the year. Since we do cash based, I don’t use the inventory levels at the end of the year. Hope that helps. I use all of these tools too. I agree, I tried using QB, but felt like it would tank my progress. I am wondering if there is a way to use the data from Godaddy to be able to create accounting reports. like a Balance Sheet or a cash flow report. I feel like these are things that I’m missing for the business. Is your accounting service able to take the data from these systems and create these reports? Hi Anthony, Glad you are enjoying the Boot Camp! Tax Jar is the only one of the 3 that keeps track of sales tax that you have collected and owe. So if you want to have something doing that, then you would need it as well. Hope that helps. Thanks for that, Jess! I was just researching the difference between GoDaddy Bookkeeping and IL and wondered if I needed both…very helpful! Great Post, Thank you. This time of the year I start thinking about taxes usually. I remember a while back a recommendation for a virtual accounting firm dedicated to e-commerce. Do you guys currently use or recommend a virtual accountant/Bookkeeping service? and what are the pros and cons of using one? Have a great Q4 Guys! Hi Chris! Yes we use The Bottom Line Accounting for filling our taxes and getting advice. We can give them all of our numbers from our GoDaddy report and then they fill it in for us. Have a great day! Do you have any experience with QuickBooks and/or Webgility’s Unity service? I’ve been running my store since February, but am only now looking to use software to store/organize/automate transactions. I’ve just started free trials of QB and Webg’s offerings, and am a little hesitant to jump in at their given pricepoints. Your tools don’t seem much better, pricewise, but I do need to do SOMEthing. Ideally, I need something that would work with TurboTax, which is what drew me to QB, initially. So I’m just trying to figure out the best bang for the buck. Thanks! Hi Adam. The only personal experience I have with quickbooks is downloading it once and deciding it was too complicated for me. I like to keep things simple if I can. I’ve not tried the other either, sorry. So, if I’m only selling one product, and I’m not needing to look at per-item profitability, would I only need GoDaddy, Tax Jar, and Turbo Tax to get my taxes all squared away. Or would TurboTax (or the IRS in general) need to see inventory and other things that InventoryLab would provide? Yeah, you should be good with that. Very similar to our original set up before Inventory Lab came into the picture.